Witnesses to a brutal mass shooting that took place in a California bar Wednesday night have spoken about their experiences, as stories of heroism continue to emerge from the horror. 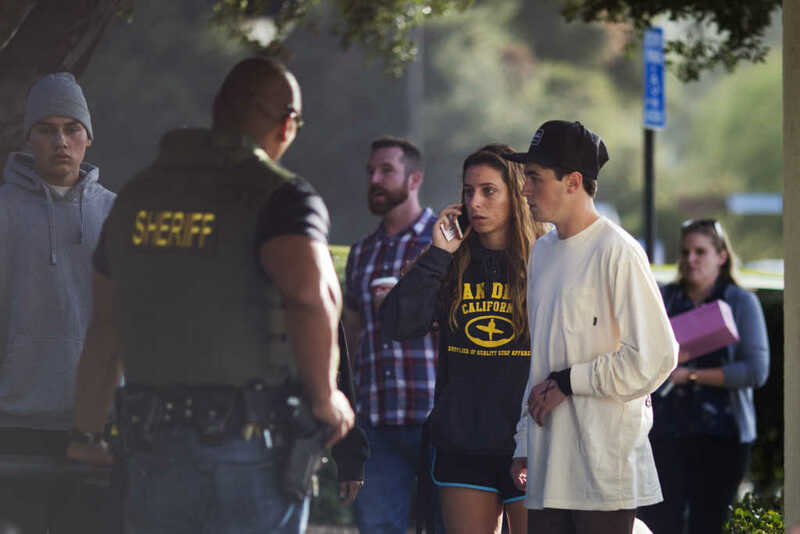 One such hero was 20-year-old Matt Wennerstrom, who said he’d been in the Borderline bar in Thousand Oaks for around 30 minutes when the first shots rang out. As the atmosphere became increasingly panicked, Wennerstrom spotted a few other brave souls tossing barstools out the window to create a quick escape route for the stricken crowd. He decided to “follow suit” and do everything he could to help out those around him. “We just pushed people towards the bar so they weren’t in the direct line of sight of him and then just filed as many people ― everyone that was there in that area ― out through that back window,” he said. Another survivor who was bold enough to tell her story was 19-year-old Teylor Whittler. The teenager was celebrating her friend’s 21st birthday at the popular venue before the night took an absolutely horrifying turn. But then, something extraordinary happened. Whittler distinctly remembers a group of men throwing themselves on top of the girls to protect them from the hail of gunfire. They were “ready to take a bullet for every single one of us,” she added. One of these heroes was Wennerstrom, and clearly, despite the chaos and terror, this man knew the presence of God in these traumatic moments.